The interesting thing about the Jim Beam Small Batch Collection is that until recently, there was no small batch Bourbon at all. 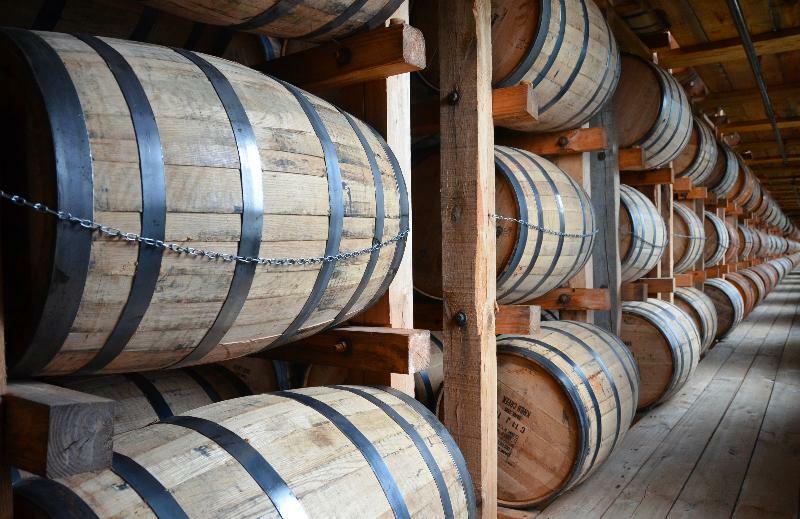 Once upon a time, everyone in Kentucky made the same type of whiskey. Distillers were aware that superior barrels existed in each warehouse, but it never occurred to them to isolate those barrels---primarily because the demand for a more exclusive Bourbon didn’t seem to exist. When the demand did arrive, it came from an unlikely source: Japan. The first single-barrel Bourbon was Blanton’s, which made its debut in 1984. In 1986, Heaven Hill released Elijah Craig Small Batch; several years later, Jim Beam came out with Booker’s, and the Small Batch Collection was born. 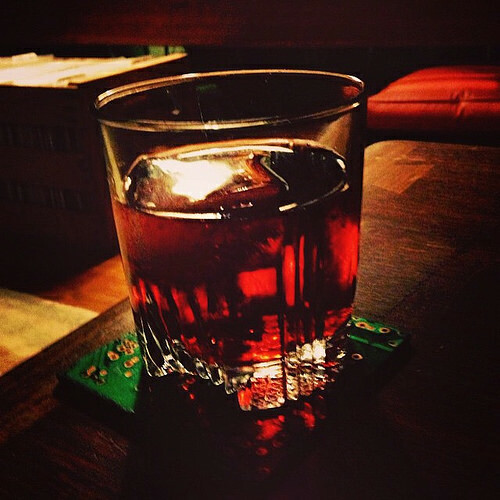 Single-barrel is self-explanatory, but “small batch” is a term of art. The closest we get to a formal definition is the one put forth by Maker’s Mark: “approximately 1000 gallons or less (20 barrels) from a mash bill of around 200 bushels of grain.” In fact, the number of barrels in a small batch varies from one distiller to another, and sometimes from batch to batch within the same distillery. The mastermind of the Small Batch Collection was the late Booker Noe, grandson of the legendary Jim Beam. The Beam family has played a key in Kentucky Bourbon culture since first emigrating to the state in the late 18th century, both at Jim Beam and Heaven Hill---every Master Distiller at Heaven Hill since their founding in 1935 has been a Beam. The Small Batch Collection today consists of four Bourbons (Knob Creek, Basil Hayden’s, Baker’s and Bookers), along with the newly released Knob Creek Rye. They are aged from six to nine years and released in small quantities. The lightest of the group is Basil Hayden's ($42), bottled at 80 proof/40% ABV. The original Basil Hayden led a group of 25 families from Maryland into Kentucky in 1785; he was a distiller who typically used a large amount of rye in his mash. His grandson Raymond B. Hayden also started a distillery, naming it Old Grand Dad to commemorate his grandfather. Jim Beam claims to be using a mash bill similar to the one employed by Basil Hayden in 1792. The whiskey is soft on entry but has a forceful, peppery mid palate. The style is lean, clean and angular, with herbal and floral overtones leading to a moderately long finish. Knob Creek Bourbon ($38) is aged for nine years and released at 100 proof/50% ABV. The nose is high-toned and floral, with accents of fresh herbs, honey, caramel and mint. It enters the mouth smoothly; in the mid palate, the rich texture is nicely balanced by a rush of spice that continues on the long finish. This is a very elegant Bourbon, flavorful and distinctive. The label of the Knob Creek Rye ($40), released in July, describes the spirit as “patiently aged” but provides no further details. The nose is powerful and herbal, perfumed with the aroma of the grain. It is silky and generous in the mouth, sweet in the mid palate and spicy on the long and resonant finish. Like the Bourbon, it shows considerable balance without a trace of heat. 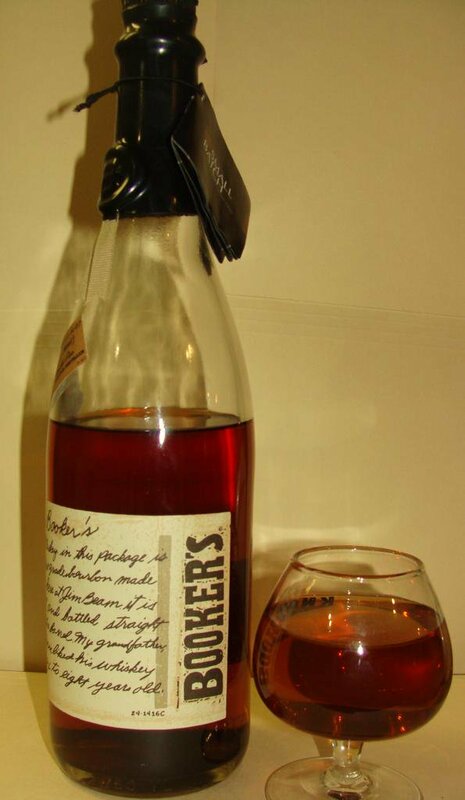 Baker’s ($47) is seven years old and 107 proof/53.5% ABV. The Baker referred to is Baker Beam, grand- nephew of Jim Beam; according to the company, this Bourbon uses a special jug yeast that has been in the family for six decades. The complex nose is perfumed with scents of vanilla, toffee and fresh herbs. It is sweet on entry, with a creamy texture and a solid core of spice that continues on the finish---a concentrated and satisfying Bourbon, with a remarkable smoothness despite the high alcohol level. Booker’s ($60) became an underground legend as the personal Bourbon of Booker Noe, something he used to serve at home and give as gifts to friends and family. “This is Bourbon the way it used to be,” he said, “the way it was meant to be.” It is bottled at barrel strength, uncut and unfiltered, and comes in at an amazing 128.5 proof/64.5% ABV. The potent nose displays aromas of honey, vanilla, menthol and baking spices. It is explosively rich and ripe in the mouth, with a sweet, unctuous texture balanced by pepper and spice. The finish seems to last forever. Jim Beam advises adding some distilled water before attempting to drink it, and you’d be wise to do so. Do you like the bourbon in the Jim Beam Small Batch Collection? Do you think these whiskies are worth the extra money over Jim Beam White or Black label? Share your comments with the community!